I created a functional little color picker. 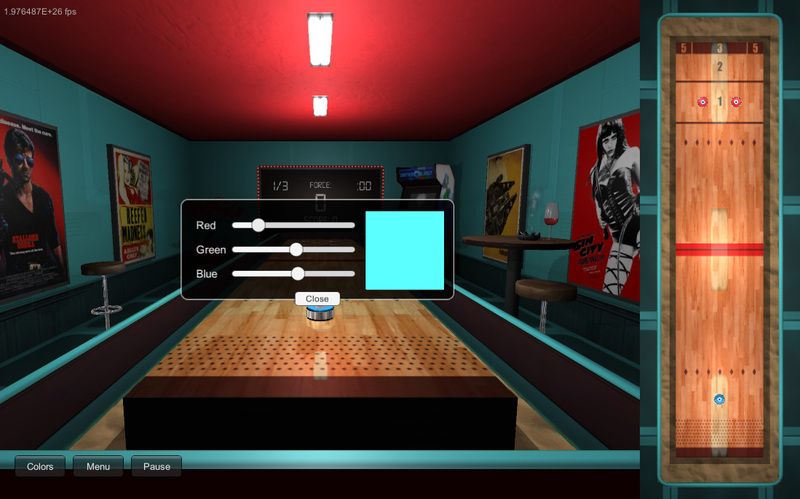 Only a few objects in the scene change color - the floor, shuffleboard exterior, and walls, but it works and looks great! This took a few hours to setup, mostly because of a bug with the sliders. I also made a few updates to the computer player. I posted a video on Twitter showing computer vs. computer game-play. I'm hoping to free up at least 4-5 hours this weekend to start focusing on more sophisticated computer logic.